Big tax refund? Spend it in style with a new K. Brunini piece from Fragments in New York! 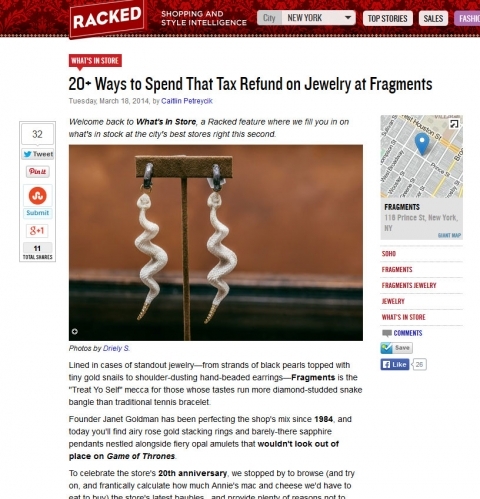 The store and its beautiful baubles, including our very own snake earrings, were featured in “20+ Ways to Spend that Tax Refund on Jewelry at Fragments” on the New York City edition of Racked.